Maurice Newman, Aussie PM Abbott's most senior advisor, on the dangers of global cooling | Watts Up With That? Maurice Newman is the Australian Prime Minister Tony Abbott’s most senior economic advisor – one of the first acts of the newly elected Abbott government was to appoint Maurice Newman to the chair of the government Business Advisory Council. “If the world does indeed move into a cooling period, its citizens are ill-prepared. After the 2008 fin­ancial crisis, most economies are still struggling to recover. Cheap electricity in a colder climate will be critical, yet distorted price signals caused by renewable energy policies are driving out reliable baseload generators. Attracting fresh investment will be difficult, expensive and slow. If Newman is right, governments have been preparing for the wrong crisis, squandering resources which could have been used to prepare us for the coming cold. At the depths of the Little Ice Age, grain production in Northern latitudes, regions which are currently regarded as the breadbaskets of the Western World, was severely curtailed, due to shorter growing seasons and greater weather instability. And there is always the risk that a little ice age could become something worse – if the historical record is any guide, we are nearing the end of the current interglacial. Newman is trying to provide balance to the obsession to leave the sun out of things within climate science, and is one of those people who is totally disillusioned by the inability of the academic establishment to be anywhere near objective. Despite solar activity being relatively high in recent decades, and despite exactly this sort of level of solar activity leading to climate warming in the past, it is dismissed and rarely given a hearing by mainstream climate science. They keep dismissing solar output as ‘not increasing’ over several decades of measurement, but it is the relatively high and sustained level of solar output over these decades, in context with previous decades and centuries, which is fundamental in driving the more recent decades of warming. This will come back to haunt them, they have already made up their minds on what is going on without looking at all the evidence objectively. Too many snouts in the trough and simply too many agendas to get to the bottom of things. The 21st century will not forget the way mainstream science was perverted and captured by narrow self interests. is this a day for CAGW scepticism in the MSM? 50 years of peace, really? OK, maybe no world war…but certainly war. We really haven’t seen the end of the finicial crisis thta started in 2008. The global economy is so complex and so interconnected that the slightest failure can trigger snow ball growth in other failures. The 2008 event started in Iceland. It’s rather ironic that a building in Iceland in which signalled the end of the cold war and thus comunism is right next to a bank that signaled the start of the 2008 banking system failure. Right now rich bankers are being paid off by the poorest people in the poorest countries and China is bankrolling the US. In the late 1990s I was reviled across the web because I repeatedly said the following. The world cooled from about 1940 for the about 30 years to about 1970. Alarmists claimed the cooling was a threat of catastrophe and was caused by emissions of SO2 from use of fossil fuels so fossil fuel usage should be curtailed. The world has warmed from about 1970 for about 30 years. So, alarmists have morphed the scare. Alarmists claim the warming is a threat of catastrophe and is caused by emissions of CO2 from use of fossil fuels so fossil fuel usage should be curtailed. If the world again cools for about 30 years then the climate scare can be expected to be morphed back to the cooling is a threat of catastrophe and is caused by emissions from use of fossil fuels so fossil fuel usage should be curtailed. About half of 30 years ago the world stopped warming, and I have yet to see any reason to doubt my prediction. Thankfully there are some authoritative voices questioning the unscientific rhetoric that has characterized Australia’s recent Climate discussions. Our Universities have provided little inspiration as they buckled to the demands of the drongo Greens. The previous government had NO IDEA anyway, forget Gillard’s “the Science is settled”, is was more like “the Science I don’t understand”. Fortunately much of the money is now being directed towards “sustainability” which helps the community with better roads, bridges, bushfire prevention etc. Please post instructions on how to submit a story or advise by email.. I have have been active in climate research since 1995 and come across remarkable stories about once a month. …….1 minute to go. All Blacks lead by 1 point. Infringement in the ruck by Richie MacCaw. Penalty to the Wallabies, right in front of the posts. History repeats! As Ex-expat Colin says, most people prefer warm to cold. It’s no secret that many people move south when they retire. In Canada and the US, Florida and Arizona are great places to spend winter. Since 1978, most years have found me in Southeast Asia with a few in the warmer parts of South America and Africa. Moreover, the governments in almost all of these countries pay lip-service to the UN and ADB, but completely avoid doing anything that will damage their economies in the futile hope that they can influence the global climate. I read the above story about Nicole Thornton in (smh) the Sydney Morning Herald. What a joke, better off to get a proper job – most people really don’t believe in Global Warming as she would like to think, just her mate’s on the previous Govt payroll. Crying “Wolf! !” shouldn’t be a career and certainly shouldn’t provide a living. Infringement in the ruck by Richie MacCaw. Mr Green Genes has clearly written in the English language and I grasp all the words. But the meaning escapes me, perhaps because I have never had the opportunity to enjoy life in Australia and NZ..
Oops–somehow the first two text blocks above didn’t get indented. The Catastrophic Man-man Global Warming Zealots. The biggest organised crime gang in the history of humanity. Ha! Now the greenery rejects natural cyclic political variability as well? Adam Bandt, you’re a disgusting little white-anter who can’t function within any milue other than a monopolar porridge of vile little warp’onaughts. So say hi to Sarah and Christine, I’d gladly give you all a free RAN life boat cruise on the Andaman Sea. @ Fred handful of posts back. It’s RUGBY Fred, a game spoken of reverently by large taciturn men in deep, dark places. He is opposing a political movement, not a scientific one. Therefore it is possible the global elitists behind that movement will not like what they view as a heretic that could derail decades of planning. Interesting to see what they do. I spent a few weeks in Iceland this year, and talked to some locals. Despite their conformist government making mandatory green noises, most Icelanders (as well as other Nordic peoples) have had high hopes for the “global warming,” waiting for the return of the Medieval Warm Period good times. Now they start to realize that warming is not happening, and that there are serious indications of the opposite (summer temperatures went down, there was a record snowfall in Eastern Iceland — up to 15 feet! — during the 2013-14 winter). In August, there’s still unmelted snow on the cliffs of the Eastern Fjords; covered with the new snow this fall, it could quickly become a permanent snow cover. I can tell you Icelanders are scared and unhappy, being a small nation, very vulnerable to any additional cold. Oh yes, they might have a greehouse effect. the on about strong winds pushing heat underneath the ocean tops. Well, since you ask, here is the WUWT review of Hansen’s 1988 prediction as at 2012 (a cool year globally). It’s 0.53°C below scenario B, which is probably the closest. That’s after 24 years. Archibald’s prediction was made six years ago. Nick Stokes – just WHAT did I ask? (read it again, carefully, and try again without so much slithering. Are you a lawyer?) – you can look it up here http://wattsupwiththat.com/2014/06/12/the-temperature-forecasting-track-record-of-the-ipcc/ Then you can add on the amounts for ‘adjustment’ (seeing as no one really knows quite how accurate, with the Zombie stations and other little always convenient adjustments of the past. My point, bluntly, is Archibald is wrong – but so is everybody else – by a substantial margin – when you have a record of popping up here and saying that BEFORE you attack other viewpoints I might take you seriously. Anyway – come back in 23 years from Archibald (who is also probably wrong) with figures that anyone can actually trust and establish as not ‘suitably adjusted’ and we can at least see if he was wrong about direction as well as scale. Right now my personal jury is out, the record seems fairly flat, but the fact that one side seems to be doing a lot of slither and cook (play on words intentional) and has a lot to lose makes me very wary about trusting them. You certainly haven’t helped their cause! Newman is correct. It is the nature of government to squander the years of plenty and to cry and wail and gnash their teeth (and penalize the ants that are its citizens) during years of hardships, not for anything the ants have done, but because they have grown accustomed to squandering. They’ve gone into heresy-induced meltdown over at the Guardian. That would put us now about 1.6°C down since 1998″”. Nick, he probably meant per decade, but nevertheless, he’s closer to right than the IPPC with their 25,000 experts and he did it with the egregiously fiddled temperature record! Most important, he got the sign right. You fellows have talked and calculated yourselves out of a right to criticize such a prediction. It’s particularly bad when the butcher, the baker and the candlestick maker are more right than the experts. It is 13 C here as a high today in mid-summer Ottawa, Canada where we are used to 25 – 30C and it has been ~5C or more cooler all spring and summer after a very arctic winter the few years. North America has been blue all year with all time low records (last month an arcticle here on Alabama lows). Weird weather or not, with your science, we should not be experiencing this at all after 30years of inexorable warming – natural variability be damned. Your a smart guy, Nick. What does it take before question marks appear? This Newman bloke is good. Hope he is backing up the words with mass sackings of bludging greenie climate change public servants, devious con artist climate change academics and 5th columnist green left government broadcasters. Abbott ditched Flannery and the “Climate Comission” but we still have various “funds/banks” setup by the ALP to dismantle including the Renewable Energy Target (RET) AU$10bil fund to redirect to where it is needed. I strongly disagree. He is an economist and as Garnaut should not have commented on matters of science, that lead to the “price on carbon” under the ALP/Green Govn’t Newman should not have either. Every single one of these people are cut from the same cloth. They will sell Grandma and throw the baby out with the bath water if they can see $$$ in it! Beware a politician who speaks. Some, such as Neil deGrasse Tyson, claim we are in for warming or stable climate for millenia to come. I think such is simply wishful thinking. We are much more likely to get cold, though probably not for decades yet. It is still reasonable to suppose Manhattan will be under a layer of ice year-round in some few centuries. BTW, the old theory was that the North Pole would completely melt first (opening up the water for extra precipitation, mostly snow, which would accumulate year after year until the albedo was much higher (whiter), and the ice-growth cycle established year over year. It is possible they cycle has already begun. We could be facing failing crops and poor growing seasons within a decade or two. Regardless, cold kills. Warmer is better. Will there be a Nobel prize issued for the discovery that the majority of the warming in the last 50 years was due to solar magnetic cycle changes as opposed to the increase in atmospheric CO2? Observational evidence for the start of cooling is the sudden increase in Antarctic and Arctic sea ice and the inhibiting of the El Niño events. There are cycles of warming and cooling in the paleo record that correlate with solar magnetic cycle changes. The sun was at its highest activity level in 3000 years during the last 50 years. Solar cycle 24 is the fastest decline in solar magnetic activity in the entire record. How much cooling is required before the scientific community, media, and politicians abandons the warmists’ paradigm? How much cooling is required to cause concern? In the bag. That’s where the gov’t advice is now coming from. The hordes who sold their ocean front properties and fled their island sanctuaries because of massively rising sea levels will soon be seeking “climate justice”. Written by Maurice Newman, The Australian on 14 August 2014. The temperature has been rising for the last 300 years, so the likelihood is that despite the hiatus it will head on upwards again at some point and who knows it might eventually reach the level of the MWP. He’s not using the temperature record. disingenuous. of course he is using the temperature record. to test his predictions. surely prudent to have a Plan B -for cooling-to go with the highly elaborate Plan A for warming. governments fight the next war using the tactics of the previous. the plans they have in place for warming will be the plans they use to fight cooling. the civil service will change “warming” to “cooling” in all the documents, but other than that the plans will be the same. after all, warming and cooling are both “climate change”. so the plans for warming will work equally well for cooling, according to the logic of government. … and as others have already pointed out, CAGW estimates are equally wrong in the other direction, suggesting that the any “AGW signal”, if such exists, is buried deeply in noise. If there were a compelling proof that man-made CO2 is the sole culprit for current (and future) climate catastrophes, then you should simply present that proof here and be done with it. Come on Nick, don’t be shy, show us the compelling proof that manmade CO2 is the primary culprit for CAGW. It should be easy for you, since the science is already “settled”, and 97% of all climate scientists already believe in it. Or perhaps you (and your fellow travelers) already know that H2O and aerosols (natural and manmade) dominate climate change. Aerosols, unlike CO2, absorb incoming sunlight. Aerosols also contribute to albedo and reflect incoming sunlight, so have cooling properties as well as warming. A more complex equation, which current climate models do not adequately address. All this reminds me that it is time to go out and find a few newly fallen trees and start cutting wood for this winter and next winter. The question is how many cords? Absolutely. 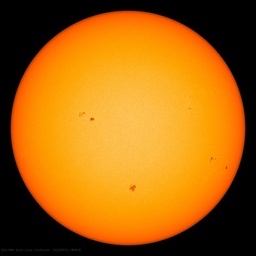 It has been typical for the coldest period in recent solar minima to occur roughly between the sunspot maxima of the first two weaker solar cycles. Also since 2008, I have been aware that between 2016 and 2024 there will be an sharp increase in cold shots in the mid latitudes, due to the short term planetary ordering of solar activity. Referring to suitable analogues at 179.05 years back on CET, deterministic forecasts can be made for monthly detail, e.g. early 2017 promises to be a very cold winter. But the greater concern is the number of summers through this period with very low temperatures, given how bad summer 2012 was for the UK farming economy, 2016 and 2018-2020 could put many out of business permanently. This period will see greatly increased El Nino and positive Indian Dipole events, and a renewed warm AMO, giving strongly increased drought episodes in Australia, India, and across the US great plains. >…thus your role here has been reduced to being a punching-bag troll, …who generally succeeds in creating diversionary confusion and hostility. Nick is a trololol. You coorectly point out his nature and goals, then continue to play his game. He pokes for a minute, the you spend an hour writing a clever response. Stop feeding the troll and he will go away. Don’t make him important or let him live rent free in your head! If you have not read David Archibald’s book, you should and then take action to prepare your family for the coming crisis. What if we cook Chicken Little for dinner, and the global temperature remains relatively the same (inbetween 13 and 15 degree C) for the next 15oo years or so, or, until the next glaciation period commences? Heating or cooling, both require cheap electricity for civilization as we know it to go on. And this is where the AGW hoaxsters have done much to harm mankind. The sun was at its highest activity level in 3000 years during the last 50 years. Solar cycle 24 is the fastest decline in solar magnetic activity in the entire record. No, William, as we have discussed at length before, none of this is true. Bernie here on the 45th parallel in Michigan we burned 17.5 face cord last winter, an increase over previous years by 5 cord. I also will be restocking our woodshed this month. The earth has been warming for 350 years, more or less. The earth has been in a cooling trend for 7,000 years, more or less. A return to the long-term trend would be a return to the cooling trend, which would not be pleasant. For that to happen, natural forces would have to dominate greenhouse gas warming, which is what has been happening for the last decade and a half, or more. There are three possible scenarios for climate change. Scenario 1: If the warmist are correct the earth’s climate will become more like it was in the Cretaceous. This will cause a lot of coastal flooding with a sea level rise of around 60 feet/ 20 meters. However the Arctic, Anarchic, Greenland and Siberia will all become far more habitable with crops growing near both poles. Scenario 2: The climate remains the same as it has been during the Holocene with cycles or ware periods (Roman, Medieval and Modern) and cool periods called Bond Events also called the Migration period or Dark Ages and Little Ice Age. Scenario 3: The earth enters another Plelstocene Glacial cycle. The glaciers move south and lower covering Great Britain, Northern Europe, Russia, Canada and the northern part of the US reaching as far south as Tennessee. The coastal shoreline extends out about 200 miles from the current shoreline. In none of these scenarios do we need to reduce CO2 levels. And in scenario 3 it is a absolute disaster to do so. Note: The Arctic could stay completely frozen over in Summer, and there would be no changes except for new publications. The new would say “We don’t know what is happening, but the Arctic is getting colder due to Global Warming”. Cords? An illegal measure in New Zealand and Australia. Try 3 cubic metres. Colder temperatures are obviously worse for humanity and most of the biosphere in general. The notion that a bit of warming is a terrible thing is so moronic, I still can’t figure out how it ever got any traction at all, much less a global meme that gives little children nightmares. But let’s look on the bright side. Humanity is far more adaptable to any change today than we were at the time of the Little Ice Age. Will crops suffer if it gets colder? Will times get harder? Certainly, yet there is no way we will suffer the agricultural disasters and resulting famines of the LIA. If we just stop burning our food for fuel and start developing and installing some 21st Century nuclear power facilities, we can pretty much mitigate most of the negatives of a LIA-like cool down. The end of the Holocene is another story. The next ice age will require a huge adaptation from humanity. We have the technology to survive, but do we have the wisdom? Archibald’s work is hampered by issues related to the sunspot record he used in his publications. The sunspot number historical records (yes plural) were spliced together even though different ways of counting were used at different times in the data set. Several attempts were made to reconcile these various ways. The most recent one, based on a thorough examination of all the various counting algorithms used in the past (e.g. weighting factors) combined with a thorough examination of other solar related measurements that time with the solar cycle’s activity level, belongs to a group of solar scientists brought together in large part by Leif Svalgaard. A substantial paper has been released by the group which explains the work done to reconcile the data sets and provides the results, a new reconciled reconstruction. I have linked to his webpage below. It is instructive to know that most if not all well-regarded authors of previous reconstructions are now on board with the new one. It is also good to know that previous papers related to previous reconstructions will not be retracted. These papers simply reflect the understandings and research findings that were known then. It would behoove us armchair amateurs to keep up with the literature so as not to make the mistake of basing our understanding of climate on previous research that has since been discarded. Cooling is clearly harmful, therefore, according to the Precautionary principle, no climate action should be taken until it is proven beyond doubt that CO2 reduction could not possibly lead to cooling. On the other hand, if CO2 reduction does not have a cooling effect, there is no point in promoting such policies. It is worse than we thought, we are caught in an anthropogenic logical trap. The link for David Archibald’s book seems to be broken. Carbon-based beings need water, carbon and energy. If human kind is seen as a cancer on planet Earth, the rest follows. Only the zaniest of alarmists, IMO, predict a return to Cretaceous conditions, without ice on East Antarctica. Some do forecast the melting at least of the West Antarctic Ice Sheet & Southern Dome of the Greenland Ice Sheet, however. The Cretaceous is actually a big problem for CACA modelers. It was far warmer & more equable (shallow temperature gradient from equator to poles) than can be produced in their GIGO GCMs without an improbably high ECS, ie at least six degrees per doubling from 280 ppm. Cretaceous oceans were astonishingly hot, hence ideal habitat for marine reptiles. Clearly, something other than CO2 was responsible for Cretaceous heat. Indeed CO2 levels were elevated because of the warmth. A paper that explained Cretaceous climate based on lack of clouds from lack of biological CCNs arising from the hot tub-temperature oceans was, needless to say, not greeted warmly by the Warmunistas. Some of the oceanic heat came from active undersea volcanism as Pangaea continued splitting up, with the continents moving into their present positions. Nobody has cracked the climate code so far and I see little evidence that Archibald has it right, either. However, the premise that global cooling is dangerous is a good one. What can we do about changing the climate? Very little. The best preparation is for prosperity as economically strong nations are better able to adapt. One other thing is drop this green as all costs mentality. We’re aren’t cooking the planet with CO2 emissions and we aren’t on the verge of burning up our fossil fuels. There are no compelling scientific or economic reasons for this headlong rush to alternative energy. Less politics and less passion and more facts are needed. Well, he’s not the most senior advisor, he’s the chairman of the PM Business Advisory Council. It’s high enough though. And the points are, of course, well made, a sign he’s well read on the issue. Two corrections to his article: First, “the year without a summer” resulted from the combination of Dalton minimum and Tambora eruption. The latter probably contributed more. It was the largest volcanic eruption in perhaps 1635 years with VEI index of 7, the previous one of this magnitude would be Lake Taupo in 180CE. Second, if the climate indeed cools, the AGW *theory* will inevitably end up on the ash heap of history and the world’s huge coal reserves, including the ones in the US and in Europe, will be unlocked. There’s enough there for hundreds of years. By the time they’re exhausted, humanity will have the alternative of fusion energy well in hand. So, nations will not have to “desperately compete for available energy.” They may still compete for food, of course, but barring a volcanic eruption comparable to that of Tambora, the disruption should not be catastrophic. Even during “the year without a summer,” large parts of the world, for example eastern Europe, Asia Minor, and Russia, were unaffected. Separating science from policy: I am not skeptical of climate change. I am skeptical that we can predict what that change will be. The policy should be to increase energy efficiency (voluntarily, with encouragement, but not by government edict). I always wanted to build a house that could be cooled with an ice cube, warmed by a candle. Use 2x6s in the exterior walls, heavily insulted, instead of the standard 2x4s. Seal and insulate everything. To avoid the air becoming stale or toxic, have a system that does a complete air exchange with the outside (filtered) when the outdoor temp was between 68-72 degrees F (realize that could be any day the low was at or below that temp, and the high at or above. Here, that would be almost every day in summer, and many in winter). Too old to do it now, but I suspect someone is doing it somewhere, and will be the norm in the future. Brrrrrr. its cold outside. I think this must have been the coldest summer on record. Clearly we need to burn much more fossil fuels. Lief Svalgaard is a great scientist and it is a great privilege that he posts regularly on WUWT. He is also testy and does not suffer fools gladly. Sounds to me like a man to admire in all ways. I left off “and respect” after admire. Except it has been proven that the effect isn’t linear and only occurs in a “doping” situation. milodonharlani, where you say “Only the zaniest of alarmists, IMO, predict a return to Cretaceous conditions, without ice on East Antarctica. Some do forecast the melting at least of the West Antarctic Ice Sheet & Southern Dome of the Greenland Ice Sheet, however.” I agree, that is why I chose it as a scenario of the very worst case for warming. Again you say “ It was far warmer & more equable (shallow temperature gradient from equator to poles) than can be produced in their GIGO GCMs without an improbably high ECS, ie at least six degrees per doubling from 280 ppm. Cretaceous oceans were astonishingly hot, hence ideal habitat for marine reptiles. Clearly, something other than CO2 was responsible for Cretaceous heat. Indeed CO2 levels were elevated because of the warmth.” When we compare this to the last glacial maximum with permafrost down to Chattanooga Tenn. and 3,000 feet of ice over New York and London on 22,000 years ago it does not seem all that bad. When Northern Canada and Siberia become the earths bread basket and Greenland is more like Hawaii even though there will be costal flooding will not be all that bad for life on Earth. On the other hand if glacial conditions return. What do you think is more likely that all of northern Eurasia and Northern North America will freeze to death or, do you think its likely that the Canadians and the US are likely to move south into our southern neighbors, all of northern Europe into North Africa and Russia south into the Middle East when the glaciers take over all or most of their countries. Norman, your use of data sets and eye ball correlations have been discussed before. At the very least update your solar information and I suggest refraining from using ice core 10Be data until the discrepant instrument measurements and ice core data are reconciled. Further to this discussion, the recent temperature rise in the global temperature series is of interest in that it is being said to be solar related. Your thesis is focused on 100 and 1000 year scales. Are you saying that this short 30 year rise called “Anthropogenic Global Warming” is on your scale? How so? You actually should consider this to be just a natural variation blip within your scales, yes? I have to agree that even the staggering heat of the Cretaceous would be preferable as human habitat to the frigid Last Glacial Maximum. But not even 1000 ppm CO2 could get us back to that climate, without also a lot more undersea ridge volcanism & some tectonic rearrangement. The zaniest of CACAlarmists, like Hansen, go even the Cretaceous one (or several) better & claim we’re on the Venus Express. I should add however that northern Canada & Siberia generally lack the loess deposits needed optimally to grow grain & bean crops. After the permafrost melted, the soil would not be suitable for most farming, but could I suppose support grazing & browsing livestock. The same link lo0k at Figs 9 and 10 C,D together and the Webber paper I linked above show the very clear relationship between the 10 Be data and climate. See e g the very obvious Dalton and LIA cooling as seen in the 10Be data. “NOTE!! The connection between solar “activity” and climate is poorly understood and highly controversial. Solar “activity” encompasses changes in solar magnetic field strength, IMF, CRF, TSI, EUV, solar wind density and velocity, CMEs, proton events etc. The idea of using the neutron count and the 10Be record as the most useful proxy for changing solar activity and temperature forecasting is agnostic as to the physical mechanisms involved. It is perfectly reasonable as the most obvious working hypothesis to project the 60 and 960 year cycles forward. What’s not to like? Seems to me what is important here, is that a senior government advisor is finally speaking at all. So many of these gutless wonders, those leaders of the polling booth, have either refused to ask for evidence or have leapt on board the climate hysteria as a route to power. Finally the worm turns in Australia and Canada, mostly because the cost has finally started to bite the taxpayer. In the small world of people actively sceptical of the science and ethics of Climatology, often we forget those with other interests. The nonparticipants are busy minding their own affairs, however as electricity prices,fuel prices and tax takes have all accelerated wherever climate hysteria has held sway, these people are coming to the discussion. Now the real discussion begins. Normal, using updated data (reconciled SSN and instrument measured 10Be) what is your hind cast? And how far back have you gone to make the hind cast? If this indeed is a weather pattern oscillation model, you need to hind cast beyond your tuning data time period. What Nick Stokes is missing in pointing out Newman,s careless prediction is that this is just the prediction of one man who is not a scientist. How then does Nick justify the obviously missed predictions/projections/forecasts/whatever from the supposed top climate scientists that the world has ever seen, who have at their fingertips the most sophisticated tools man has seen to date? All of those registered government approved climate scientists support these invalidated predictions. Yet they have managed to entice major governments worldwide to make policy on these failed predictions. 11:00 pm quiz – How do you know a politician is lying? The individual solar cycles are really just noisy froth on top of the waves. The biggest uncertainties in my forecasts are the exact timing of the quasi- millennial peak. The Oulu neutron count and the Ap index data (Figs 13.14) suggest that the peak might have been about 1991 and the sharp drop on the down slope began 2005/6 .Because of the varying and regionally different lag times between the driver peak and the climate outcome I’m estimating that that drop should show up in the SST.s about 2017/18 and in the OHCs about 2025/6. It’s where Aussie PM Abbott’s most senior advisor is getting his information. He should instead get it from Jim “Venus Express” Hansen, as in the USA? Don’t forget – Environmentalism is a religion. And liberalism is a mental disorder. After witnessing the Occupy ridiculousness, I believe it. The alarmists like to use the precautionary principle to justify all the resource usage on “global warming”. Try this for size. Since climate is always changing, it is either getting warmer or colder. Getting warmer means a more comfortable living environment and expanding productive agricultural areas. No mitigation action required. Getting colder means more energy is required for heating, a reduction in productive agricultural areas and reduced agricultural production in the remaining areas. These are things that need to be mitigated. Two choices. One requires preparation and one does not. So what should be putting resources into? Throughout history, people in colder climates stored food for winter. People in tropical climates never had to. Which scenario should we be making preparations for? But, but, but….it wasn’t Newman’s prediction. Not then, not now. It was Archibald’s prediction which, as far as I can tell, Newman hasn’t repeated. If one of those evil deniers makes a failed cooling prediction then that proves that all cooling predictions from that time on are by default wrong also. SOP for the brethren. You won’t be proud to be an Aussie? A minor point, but it’s the Diaoyu Islands, not the Daioyu Islands. Phil Kearns, is that you? Thank you Eric, I mentioned it on another thread yesterday. I wrote to Barnaby Joyce our rep in Federal parliament, the New England electorate, and mentioned the solar farm due to be built in Moree. He is handling it with the environment Minister. We heard about this years ago during a lecture by Prof.Bob Carter. It was going to cost so much like multi-millions that it wouldn’t be worth it for the number of households it could supply. The thing that happened during the last full ice age, was besides glaciers advance of course, that surface water didn’t evaporate as quickly, but the rain was reduced. But when the 2007 election was held, the ALP minister for the environment, Penny Wong, mentioned when asked if the cancellation of the ETS caused their low numbers. She replied, ‘No – there is some evidence the planet is cooling’ You won’t find that anywhere on the web or in the papers. She said this when interviewed in the tally room during the count. I was watching it live. He’s made a point, and a gud one. All Blacks will win, LOL. But seriously, what can Australia do to combat cooling trends in agricultural areas. And how do we cope with electricity charges. It’s the precipitation we have to worry about, as we do anyway. Not from their perspective, their motives are to impair the health of the civilization they blame for … for who knows what? No matter the outcome of WEATHER cycles for the next decade or three they will individually and collectively adjust their rhetoric, remodel their shop front, hold a few very concerned conferences (the topic is completely irrelevant) to rehash their political double-think apparatus, in order to maximize a new agenda of damage and impairment to civilization and economic functioning, whilst seeking to open and accentuate schisms in social fabrics to undermine the networks of free-thinkers and undermine use of observational evidences that may examine and expose their warp’ospheric claims (the topic can be anything). It’s quite incidental whether they were right or wrong about CO2, or cAGW, when baked-in deception was root-‘n-branch of their whole argument, since at least the early 1990s. The global warp’osphere isn’t concerned with rights and wrongs, those are just transient variables. It’s only concerned with entraining perception of right and wrong in order to maximize policy impairment and economic derailment while systematically vandalizing the mechanisms of systemic self-correction, plus smearing, attacking and using media to disempower any person or any groups, or any ideas or tests which could potentially counter and reverse their harm-making agenda. Maximizing conflict, to create dysfunction, and a secondary inability to effectively act to repair the damage, quickly enough. Classic ‘white-anting’. White ant = termite, i.e. hollow it out unseen, while doing the popular ‘right thing’, so a light breeze can then blow the house down. Naughty CO2 is just a major tactical short-game. There are all those never commissioned multi-billion dollar desalination plants laying around depreciating (I bet no one’s spending money maintaining those), and the dams that were cancelled. There are also some large dams that can be further substantially expended in capacity. That could ameliorate things and buy time for cultural and structural adjustment to cold and dry. Hopefully we can stave off Las Vegas type situations (i.e. no options). I’m more concerned about the soil health issues, which stem from extended low-precipitation periods. the interior in the 1990s and early 2000’s droughts was an ugly place. What came next was the healthiest and wettest Europeans have ever seen the landscape, so the capacity for ‘weathering’ the worst and springing back very fast, is clearly baked into the ecology. Remember this, the Emus trooping through Longreach last year? That happened due to the best conditions on the land in generations, leading to an epic population bloom of all wildlife, which finally spilled into streets of country towns. Of course the rude-health of the land was then completely ignored and the Emus (note the healthy Emu chicks in the photo of family grouping) were depicted as sadly dieing of hunger and entering towns in a desperate search for food. It was BS, the outback was lousy with emus and roos and everything else, making hay while the sun shined. We’ve learned so much in the past 25 years about how this works and what techniques work (which even the old bushies didn’t have but still did OK without). Chipmunks build a larder for winter as soon as spring arrives. We have to prepare for the next drought long before the next rain falls. The animals and trees fatten and grow fast, store what they need, then wait out the dry. Since when is the landscape withering not a part of this? Build damns, build lots of big and deep damns, and the environment will love us right back. No more mischievous enervating obstructions. Everyone who actually lives on the land knows that keeping water on the land and slowly releasing into rivers is and always will be the only true answer to getting the environment and communities and animals through the worst of droughts. I hope people like Barnaby will push Abbott to get on with this and I’m guessing Abbott and his Chief Economic Advisor will be up for it, and will do far more ecological good than the hyper-greenery has ever even contemplated, for the flora, fauna and soil of the country … and of course assorted bushies. The Daily Mail carries a piece that summer in the UK is over, now that rain is falling & temperatures could fall to near freezing in Scotland next week. I read on WUWT a few months ago that it was costing millions (maybe ten million) per year to maintain each of them. Northeast Texas, near Lake Cooper, Delta County, this week low temp 59F. Very cold . Flight of Canada geese 20 to 30 came by and landed on the lake. The thing is a hard freeze late spring when the wheat is “booting our” making the head. A hard freeze ends it. No wheat no food. Computer graphs do not make climate. We knew with confidence over a decade ago that global warming alarmism was technically false, extremist and wasteful. We also knew with confidence over a decade ago that the green energy schemes proposed to “fight global warming” would not be green nor would they provide much useful energy. Since then, there has been no global warming. Since then, over a trillion dollars has been squandered on failed green energy schemes that have produced little net energy, but have caused energy costs to soar. There is no real global warming crisis. Cheap abundant energy is the lifeblood of modern society. 1. He will ultimately be humiliated by all this climate alarmist foolishness, and this is not good for the Office of the President, the USA or the American people. 2. His foray into CO2 reduction could drag the US economy down to great depths, such that it will take a decade or more to recover. It also seems probable that the USA will never regain its global prominence. Raising the cost of energy, the lifeblood of any economy, based on bogus climate science could seal this fate. If other countries become the dominant global powers, don’t expect the world to become a kinder, gentler place. Even those who suffer from Pavlovian Anti-American Syndrome will long for the “good old days” of Pax Americana. Hundreds of studies by competent scientists have indisputably proven that the Carbon Dioxide-Global Warming theory is false, and yet simplistic, calamitous statements from the warmists continue to abound, and the public seems as committed as ever to this scam. Scientific logic and common sense are losing the battle. The problem may be that scientifically unaware people cannot believe that a so called “97% of climate scientists” could be wrong, or that they would intentionally corrupt science and lead us into this disastrous folly. Perhaps it is time to put aside scientific proofs, and concentrate on the intentions and motives that drive this incredibly destructive, politically determined scheme. It’s not as if they were hiding their objectives, or their plans to disrupt the entire social structure of the free world. The website @ (http://www.c3headlines.com/global-warming-quotes-climate-change-quotes.html) has dozens of direct quotations from high up UN bureaucrats as well as government, and NGO officials explaining why the present culture is unsustainable, and that the only way to save the planet is de-industrialization and de-population under a WORLD GOVERNMENT administered by the UNITED NATIONS. Yes, Newman is the prophet you have been waiting for–so well qualified and experienced in all things related to atmospheric and solar sciences. Praise be to Vishnu and all the gods. Rogerknights, Hi, I don’t know the reason for shutting down the Sydney salinity plant. But I believe they had 65 wind turbines to run it? People complained about the noise they made, like a jet warming up. Newman is indeed a very qualified man, academic as well as business wise. He was on a wind turbine committee once and thrown off it? I wonder why? LOL. He’s a tough cookie too, but he is quite old really, he is four years older than me, born 1938 according to Wiki. Doesn’t look it. Unmentionable, one of Abbot’s pre-election suggestions was to build more dams in Australia. A fellow student of mine completing her Diploma in Organic Agricultural production, was given a grant of 40,000 dollars to build a dam/s, providing she planted 800 trees. Creating a wild life corridor. I don’t know how she went and if the trees survived, but she fenced them off from her cows. The problem with planting small trees, they have to be kept watered and kangaroos and rabbits do eat them too. Unmentionable, one of Abbot’s pre-election suggestions was to build more dams in Australia. A fellow student of mine completing her Diploma in Organic Agricultural production, was given a grant of 40,000 dollars to build a dam/s, providing she planted 800 trees. Hey that’s great! I’ve planted a lot of trees like that myself over the years so know the deal. Watering them for the first six months keeps one fit. I hope the Lib/Nats get on the dam building fast, Clive seems determined to frustrate all programs and the government aren’t handling it or other things too well. Yo many distractions making the fray. In the end it’s the govt of this country and not somewhere else so maybe they settle down and focus on the job now – head down and b_m up time. Clive is in trouble with the Chinese? Personally I do think he will be one term only pollie. And that female senator. Gosh she is crass. And people voted for them. and captured by narrow self interests. Well a silver shadow Rolls, is a classic. And I think it went wrong, as the hood was up and he’s smiling with a spanner in his hand. He loves showing off. This man must have a extremely low esteem and feels he has to show his wealth off as there is nothing else to be proud of. LOL. I believe that female loud mouthed senator was ex Army. Don’t think she was an officer though, hope not. Clive didn’t turn up for a economic management committee. He’s being sued by the Chinese for using 12 million dollars of their joint money for his election campaigning for the senate. So there goes Titantic II, as we all know anyway, he didn’t have the funds. Who the heck would want to sail in Titanic II! Mainly in respect for all the people who perished more than anything. He’s sueing them for 660 million carbon tax he had to pay. He’s a blight on Australian politics. About Warren Newman, well there are lots of non-scientists on this site, but there are scientists in Australia who agree with him. He is a very very smart guy.